Alloy Wheel Repair are one of the UK’s most advanced and established Companys based in Coventry, the heart of the Country and currently providing our services to the East Midlands (Leicester, Hinckley, Lutterworth, Nottingham, Derby, Burton on Trent, Milton Keynes, Northampton, Bedford, Loughborough, Melton Mowbray and Corby) & West Midlands (Birmingham, Coventry, Solihull, Walsall, Wolverhampton, Nuneaton, Dudley, Redditch, Bromsgrove, Shirley and West Bromwich). We also provide our services to the Worcester region(Worcester, Evesham, Stourbridge, Kidderminster), Staffordhire region (Lichfield, Tamworth), Warwickshire(Warwick, Leamington Spa, Stratford Upon Avon, Rugby and Kenilworth). Working in conjunction with a UK based wheel paints and powder manufacturer we can quite simply match most OEM colours. We also act as a R&D facility for this manufacturer highlighting we are the right choice for you! 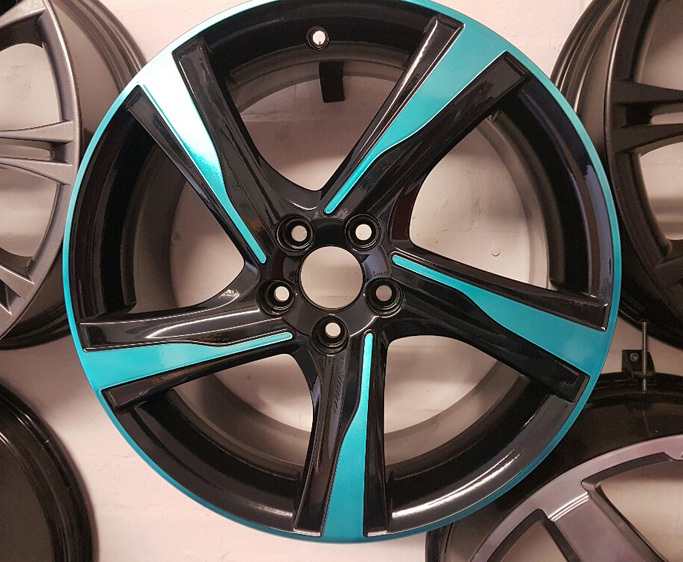 We have a very stringent Quality Control process for the refurbishment of Alloy Wheels and will bring your wheels to ‘ AS NEW ‘ as possible finish. Generally speaking this process takes approximately 2 to 3 days to complete in order to get a high quality finish. AWRUK has recently launched a new wheel protection seal allowing you to keep your wheels clean and protect them from road debris and break dust; this results in a longer life for your wheels.